The Contingency Fee System, Explained by NJ Personal Injury Lawyer Larry Pollack, Esq. If you have been involved in an accident in which you have sustained personal injury, it can be a very frustrating and traumatic experience. In addition to physical injuries, an accident can also lead to financial problems for the victim because of expenses involved in medical treatment, property damage and loss of earnings. It can be frustrating and difficult to deal with insurance companies, police, investigators, body shops and hospital bill collectors, all while trying to recover from painful injuries. 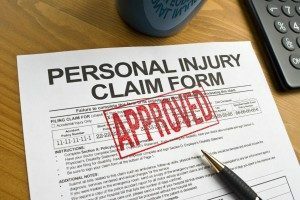 Fortunately, due to the universal use of contingency fee agreements, victims of someone else’s carelessness do not need to spend a single penny to retain a competent personal injury attorney, such as Larry M. Pollack, Esq. Similarly, victims of workplace injuries need not advance a single penny to retain a competent workers compensation attorney, such as Larry M. Pollack Esq., because such fees are set at the end of the case by the workers compensation judge, and are paid solely out of the money recovered from the workers compensation insurance carrier. At the Law Offices of New Jersey Personal Injury Attorney Larry Pollack, we understand your situation and we can help. Although Larry M. Pollack Esq. is highly experienced, you pay us only when we win/settle and recover for you. This is referred to as a “contingency fee” in legal parlance. Contingency fees are strictly regulated in New Jersey. In New Jersey, personal injury attorneys are allowed to charge a one-third commission on the first $500,000 recovered for adults, and 25% of the first $500,000 recovered for minors (fees above $500,000 are covered by a scale set by the NJ Supreme Court’s Rules). The contingency fee system is an important and ancient bulwark of America’s legal system, because without it, only the wealthy would have the means to hire an attorney to seek compensation for their personal injuries. Without the contingency fee system, only the wealthy would have the means to bear the cost and risk of litigation to obtain legal redress for injuries caused by the negligence of others. Unlike large, powerful insurance companies, who keep defense firms on a regular retainer or have their own in-house lawyers working for them around the clock as “house counsel,” few ordinary individuals could afford the thousands of dollars that would otherwise be needed, to retain an attorney and pay him by the hour, and to pay the costs of investigating and litigating a case, if the contingency fee system did not exist. There is therefore no reason whatsoever to delay in hiring an attorney; in fact, delay in hiring an attorney can cause irreparable damage to your claim. Should you lose your case or we are unable to obtain any compensation for you, you owe us nothing. We guarantee that you do not need to pay us anything till you receive your compensation. You do not need to worry about paying us by the hour and therefore there is no financial burden on you for making the injury claim. Assuming we take your case, we will advance the money that is required to provide the best possible legal representation until we get succeed in obtaining compensation for you. Furthermore, in America, in contrast to parts of Europe, if you lose your case, you do not owe anything to your adversary, either. It is important to note that the Law Office of Larry M. Pollack, Esq. does not charge any consultation fees in personal injury or workers compensation cases, and since there is no obligation to retain us after a free consultation, there is no reason to delay contacting us. And, if you already have an attorney but are so dissatisfied with that attorney’s performance you wish to change attorneys, be advised that under New Jersey law, a client may always change attorneys, with or without cause. Even if a client changes attorneys numerous times, the maximum total attorney fee always remains one-third (for cases under $500,000); the one-third is split between the current and previous attorneys, usually based on the relative contribution of the previous attorneys. If you have an existing case with an attorney but feel you may now need to change attorneys, you may feel free to telephone Larry M. Pollack Esq. to discuss the situation directly, in complete confidence. Since our attorney fees are totally dependent on winning/settling the case and the amount of settlement, you are assured that we will aggressively pursue the maximum amount we can obtain for you. Larry M. Pollack has many years of experience as well as a history of successful settlements in personal injury and workers compensation cases throughout the State of New Jersey. Please contact NJ personal injury attorney Larry Pollack to discuss representation in a contingency fee arrangement.